Reviews, rates and features of the five Marriott International brands most popular with families, and what's waiting for you and the children at check-in. Marriott, a name synonymous with hotels and hospitality worldwide, began its business in 1927 when J. Willard Marriott and his wife Alice opened an A&W root beer stand in Washington, DC. Today, Marriott International, Inc. owns or manages over 3,000 properties in the United States and 67 other countries and territories. Ranging from full-service hotels, many with luxurious amenities, to intimate and elegant boutique hotels and even to vacation ownership timeshares, Marriott offers lodging appropriate to every kind of traveler. Marriott Hotels & Resorts, the flagship of the brand with 521 properties world-wide, are full-service hotels offering pools, fitness centers, business meeting facilities and a concierge level. The 145 Renaissance Hotels are also a full service brand that offer the amenities of a boutique hotels along with business faciliites, pools and fitness centers. Additionally, the company's very stylish, luxury boutique Edition Hotels and their partner Autograph Hotels attract young families seeking a more urban experience. The most luxurious and elegant accommodations can be found at 39 JW Marriott Hotels & Resorts, and at over 70 Ritz Carlton Hotels, which offers signature services and amenities, fine dining, fitness centers, business centers and concierges. Marriott's ExecuStay offers fully-furnished executive apartments for short-term housing in 45 major markets, while TownePlace Suites offers streamlined, budget-oriented long stay housing. The Marriott Vacation Club manages a flexible timeshare program of 1, 2 and 3-bedroom villa-style accommodations for 400,000 participating families. Most of the upscale properties in resort areas offer children's programming and family activities. Family travelers may be most familiar with five brands that offer great value with lots of those perks that help create memorable family vacations. For adults traveling with kids of any age, Marriott has Residence Inns, Courtyards, SpringHill Suites, Fairfield Inns and the newest, TownePlace Suites to choose from. So, what's the difference?? Here's a breakdown of the brands, with their features and price ranges to help you sort it out. 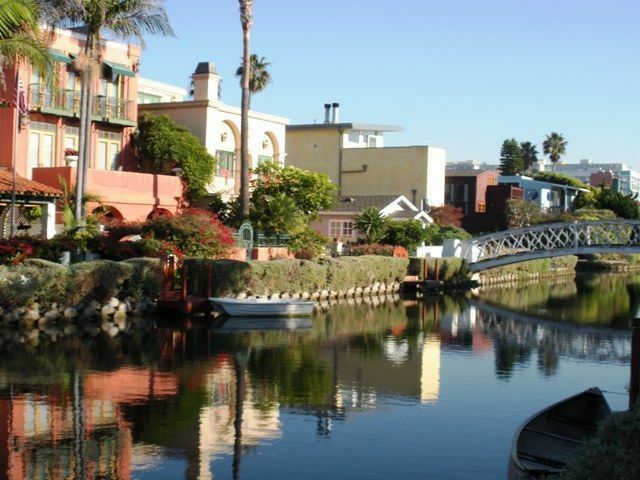 Prices are valid for summer 2010 travel and will vary by location. Residence Inn, recognized as a leader in extended stay business travel around the world, is also a terrific choice for the leisure traveler. With over 580 locations, this brand is a smart choice for traveling families. The spacious suites are larger than traditional hotel rooms, and offerings include studio, one- and two-bedroom suites with separate living, working, eating and sleeping areas; free high-speed internet access; full-sized, fully-equipped kitchens including cooking and serving ware, as well as a full-size refrigerator, coffee maker, microwave, dishwasher and cooktop/ovens; free grocery delivery; The Market, a 24/7 self-serve food and beverage pantry, as well as a complimentary breakfast buffet. 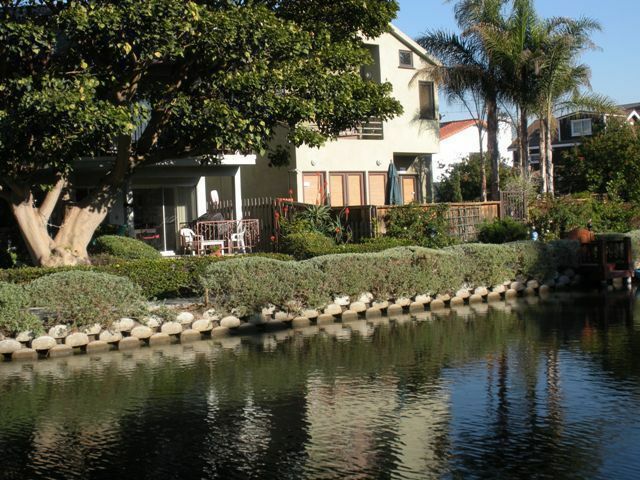 There are pools and heated whirlpools, plus basketball, tennis and volleyball all-purpose sports courts and barbeque areas (in many locations). The average 2010 rate at Resident Inns was $111/N. 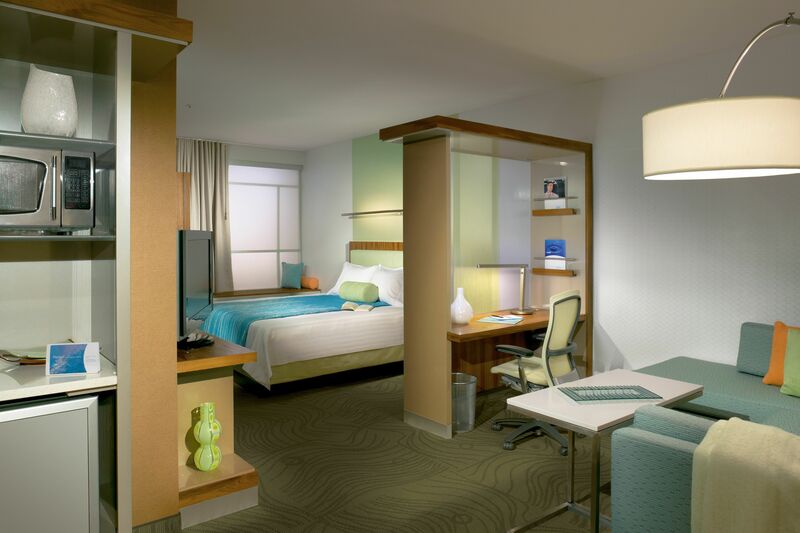 Courtyard by Marriott has been a leader in the lodging industry for more than 25 years. With more than 800 locations in 28 countries, this is Marriott’s largest brand. Amenities include free high-speed internet in the rooms, indoor swimming pool with a whirlpool spa in most locations, an outdoor pool where climate permits, and on-site restaurant(s) serving breakfast, lunch and dinner. 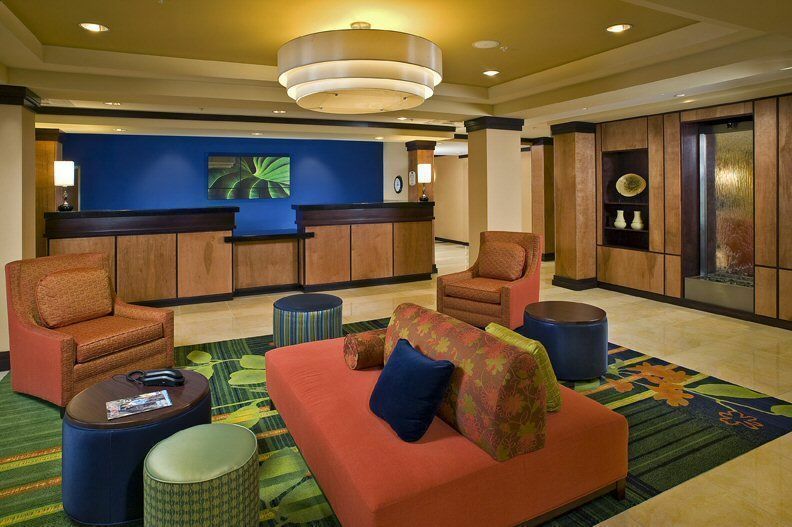 The average 2010 rate at Courtyard by Marriott was $109/N. 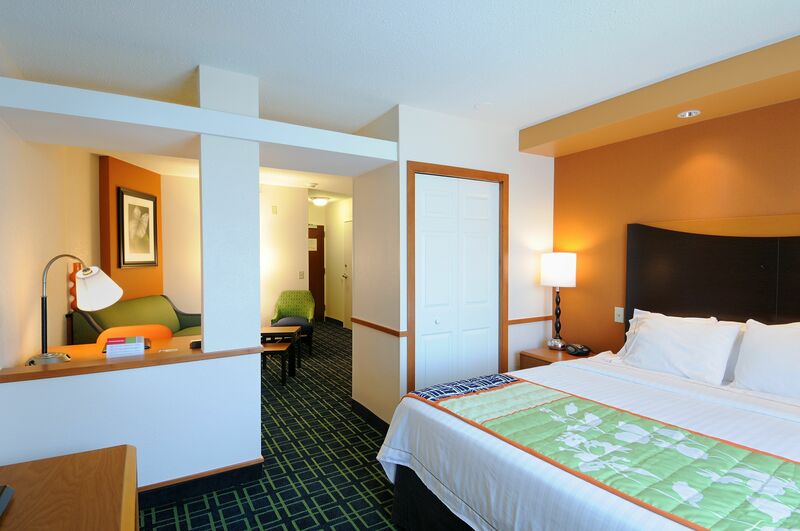 Fairfield Inn & Suites is a leader in the moderate tier lodging category with 650 locations in the US, Canada and Mexico. In addition to suite-style rooms that provide separate living, working and sleeping areas, as well as an entertainment area with an additional television and CD/stereo system and free high-speed internet access, this brand also offers an in-room mini-refrigerator, microwave and coffee maker – perfect for family travel. Other amenities include a complimentary hot breakfast, swimming pool and whirlpool and The Market, a 24/7 food and beverage pantry (at many locations). With all the perks, this is a wallet-friendly choice if they're in your intended location. 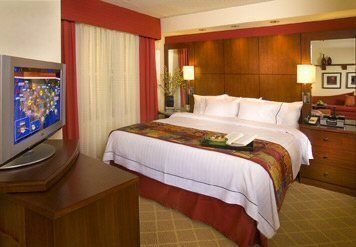 The average rate for 2010 at Fairfield Inn & Suites was $83/N. TownePlace Suites is an all-suite extended-stay hotel brand in the moderate price range with more than 190 locations in the United States. 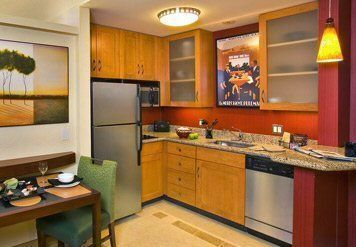 Ideal for travelers who need accommodations for a week or more (although you can stay for a shorter time), this brand offer studio, one- and two-bedroom residential-style suites offering 25% more space than traditional hotel rooms, with fully equipped kitchens and separate living/working and sleeping areas. TownePlace Suites are pet-friendly (fees may apply) and offer a pool and exercise room, as well as In A Pinch, a 24/7 food and beverage pantry and complimentary breakfast. 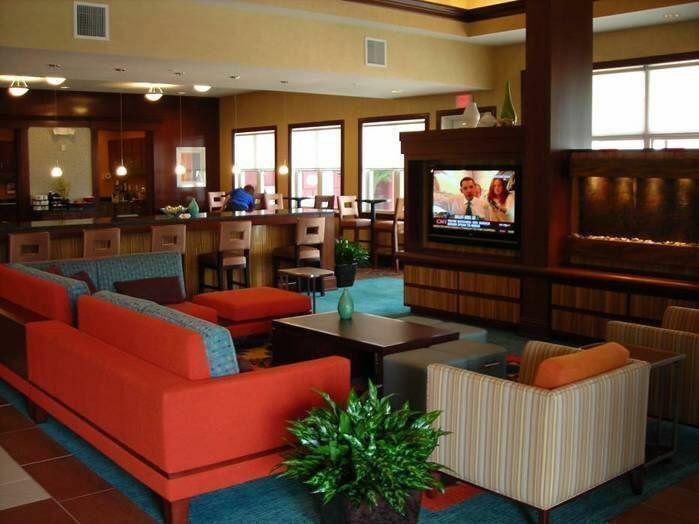 The average 2010 rate for a long stay at TownPlace Suites was $80/N. Marriott International is committed to helping for parents traveling with little ones. "Tots Travel Too" is Marriott's program designed to make travel easier for families with young children, available at more than 2,500 Courtyard, Fairfield Inn & Suites, SpringHill Suites, Residence Inn and TownePlace Suites hotels in the continental U.S. and Canada. Additionally, Tots Travel Too's soft-sided travel cribs are outfitted with a freshly laundered "Coverplay," a removable crib slipcover to ensure that “travelers-in-training” can rest comfortably, in a clean, germ-free environment. For a bit of bath time fun, a complimentary animal squirtie toy is also provided. In addition, parents who have forgotten to pack their tot's essentials can contact the front desk for complimentary items, including outlet covers, nightlights, baby shampoo and baby lotion. Disposable bibs will be available in the breakfast areas of each hotel brand. “As a parent with a child under 3, I am definitely aware of all the planning and stress that can happen when traveling with toddlers,” noted Peggy Fang Roe, Vice President, Global Brand Management for TownePlace Suites & Marriott Executive Apartments, Marriott International, Inc. at the program's launch.